It's "Big College Basketball Tournament" time, everybody! I did some research on building a "probabilities of the NCAA tournament" project a few years back, but it seemed kind of impossible, and not totally worth it when weighed against other curricular demands. So, I scaled back expectations and started with having fun with it myself. 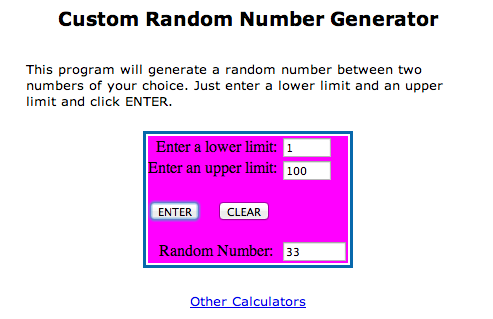 Using the probabilities from the user picks on CBSSports.com's bracket manager, I simulated the outcome with a random number generator (from mathgoodies.com), and chose the victor from there. 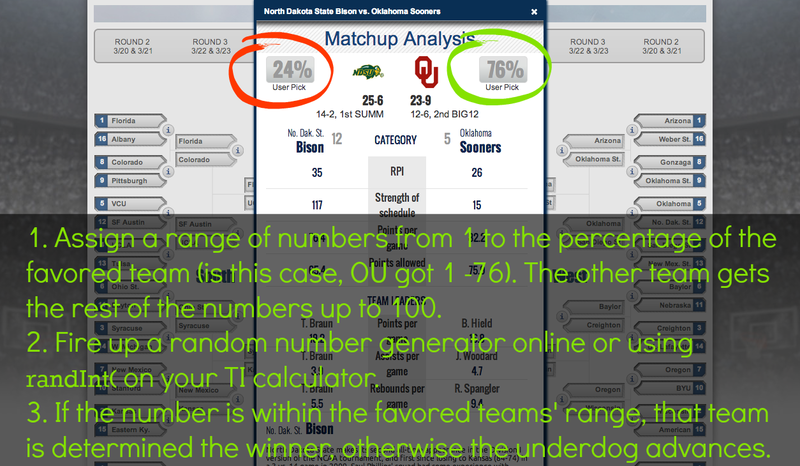 Had this been the number generated for the game above between Oklahoma and North Dakota, OU would have been the winner because 33 is between 1 and 76. 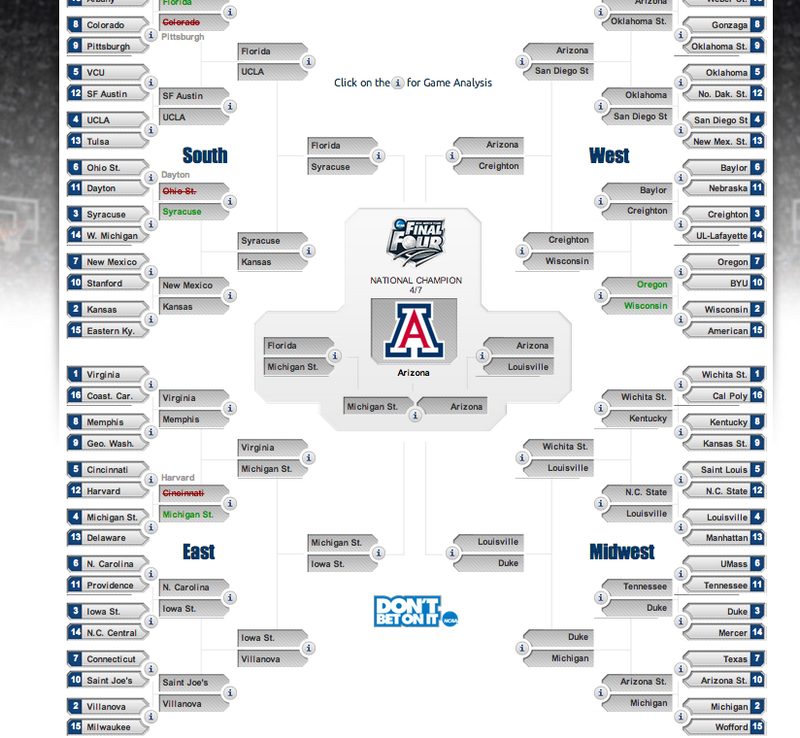 To my pleasant surprise, the method produced a rather conventional bracket, while still making some fun, plausible upsets. 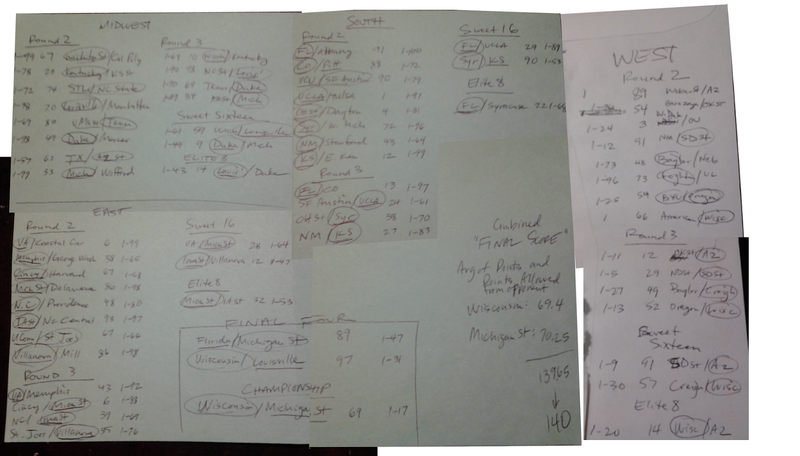 As I'm writing, the first day's games are about half done, and the bracket is holding its own against most anyone else's.